In todays' 'BARDIC MEETS . . .' BardicTheatre.com chats to Rachel McKenna. 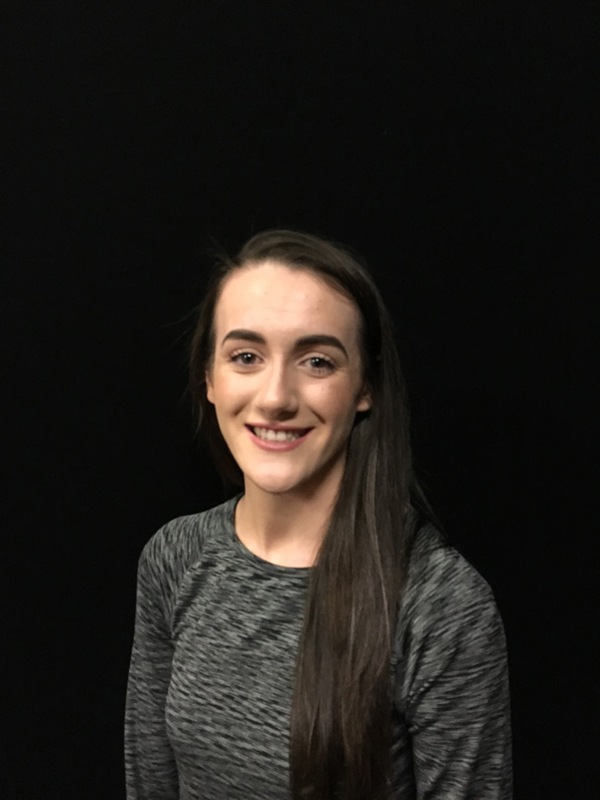 Rachel has been on the Bardic stage regularly for the past six years as an ensemble member but will play ‘Lorraine’ in her first principle role in All Shook Up. Here she chat’s with us about her dance accolades, her character and loads more. Hi Rachel, Thanks for talking with BardicTheatre.com. We appreciate that time is tight as your super busy on production week. 1. You've grown up all your life with Bardic and dancing in shows from no age, it must be really exciting to finally have a role to call your own as Sylvia's daughter, Lorraine? Absolutely! My grandfather, Sean Faloon, founded Bardic Theatre and my family have been heavily involved ever since - it's been a huge part of my life for as long as I can remember! Typically in Bardic productions, I am found as a dancer however, this year, I play the role of Lorraine, daughter to Sylvia and madly in love with Dean. It's definitely been a challenge to break out of my comfort zone of high kicks and pirouettes but working under the direction of my cousin, Stephanie Faloon has made it much easier...and not to mention the incredibly talented cast playing alongside me! 2. Lorraine and Dean are both madly in love with each other, but is it just a case of 'teenagers in love' or is there a more deep serious love and want for each other? The love triangles within All Shook Up are endless but thankfully Lorraine and Dean avoid getting caught up in all of that! They're only 16 and, so, their relationship is certainly just a case of "teenagers in love" however, what's good about it is that it sets their relationship apart from the rest in the show and the innocence of their romance adds a nice, light-hearted element. For me, their story kind of reflects that of Romeo and Juliet's whereby neither their parents nor society approve of their relationship but this, however, does not stop them in pursuing their feelings for one another. 3. You have two actors portraying the role of Dean throughout the run of All Shook Up, As an actress based on rehearsal process do you feel you have to play Lorraine a little bit differently depending on the actor playing that particular evening? If so, what are the type of things you would change in her? I have worked alongside Jordan Donnelly (who plays the role of Dean) before and so I went into this knowing him better than Haydn Cullen (who also plays the role of Dean). Getting to play opposite two different people has been enjoyable as it's interesting to see how each of them interpret the character of Dean and whilst Jordan and Haydn have different styles in how they portray Dean, I don't feel as though I make any major changes to Lorraine depending on who I'm playing alongside each night. 4. In recent years you've had major success with All Shook Up Choreographer Jamie-Lee Maneely and her school of dance, travelling to Paris a few times a year and coming home with all the glory. It must be great to travel a little bit and see the world, meeting up with people from different backgrounds and cultures and still a teenager? I joined the Jamie-Lee Meneely School of Dance 8 years ago and ever since, dance has been a huge part of my life and something that I'm very passionate about. I have been very fortunate to have been given the opportunity to travel to Disneyland Paris along with the rest of the school to dance and compete against schools from different parts of the world in 2014 and again, recently, in October 2016. It was a fantastic experience as not only did we get the chance to perform in front of hundreds during the Disney Performing Arts parade in Disneyland Park itself, but it was amazing to get to see a bit of the world with some of my closest friends. Particularly in the past year, I have had many solo accolades, but what's most rewarding is the success we have had as a team. The people I have met through dance are people that I wouldn't have met any other way and who I would consider as my closest friends, most of whom feature in All Shook Up! 5. Favourite Elvis number from All Shook Up, oh and don't forget to tell us why? Well, there's quite the selection! My favourite number to perform is "C'mon Everybody", it's so upbeat and lively and I love the choreography. It's one of the earlier numbers so it really sets the tone for the rest of the show. Although, I have to say, my favourite song from the show is "Don't Be Cruel". Despite not featuring in this number I think it's arrangement is fantastic and the harmonies are brilliant...once again, our amazing musical director, Damien Cullen, has really outdone himself! 6. Favourite Bardic musical you've been a part of throughout the years, and why? A highlight for me would have to be when we performed a section from "Cats" in the second "From Broadway to Bardic" in 2015. The choreography was so different from anything I had done before and as the youngest person in the piece, I was really stretched as a dancer, and as a performer. However, I suppose my first Bardic production, "Bardic Blockbuster" will always be somewhat special to me. I wasn't even supposed to be apart of this particular show but I tagged along with my older sister, Emily, to rehearsals one Sunday and I guess my wayyyy above average height paid off and they slot me in!!! You could say I owe Emily my entire Bardic career... but trust me, as anyone knows, she doesn't need the ego boost!!!!! Thanks so much Rachel for chatting today with BardicTheatre.com and enjoy the run. All Shook Up opens this Friday evening with curtain up at 8pm.